EUROPE GETS TOUGH ON ISLAM, BUT IS IT ALL TOO LATE? Europe is panicking over the millions of Muslims it let in. Now comes the reaction — burqa bans and even taking Muslim children away for reprogramming. Too ugly? Or just too late? Until recently, Europe’s leaders seemed to think their national cultures didn’t deserve defending, or that Islam was easy for Western societies to swallow. Over the past decade they let in more than 5 million illegal immigrants, overwhelmingly from poor Muslim countries in Africa and the Middle East. “We can do this,” German chancellor Angela Merkel foolishly declared as a million poured into her own country in just two years. Except it couldn’t. Merkel was last week forced by her coalition partners to retreat following terrorist attacks by Muslim “asylum seekers” in Berlin, Ansbach, Dresden, Wurzberg and elsewhere, and sexual assaults on German women. Merkel has now agreed to a new border regime on the frontier with Austria, to turn back asylum seekers who’ve registered with some other European country. Across Europe the borders are closing. Italy last month turned away two ships carrying illegal immigrants from Libya, and Austria threatens to close its own borders. Hungary has already fenced off its border, and any migrant found within 8km of the border will be turned back. And it made it a crime to help fake refugees file requests for asylum. Then there’s the fight against the niqab, which covers the face of Muslim women and symbolises a refusal to integrate. 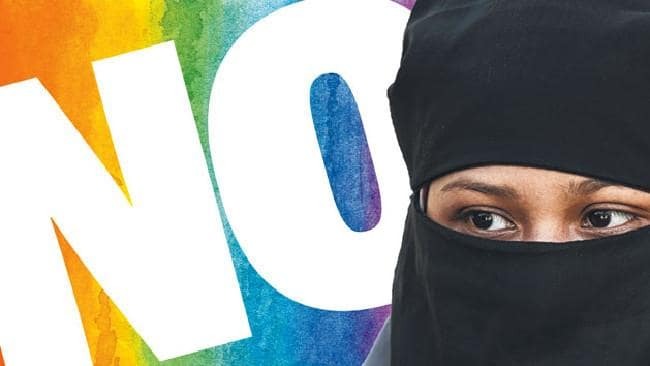 The niqab has now been banned or restricted in France, Austria, Holland, Belgium, Denmark, Norway, Bulgaria, Bavaria and parts of Italy and Switzerland. Holland has scrapped multiculturalism, and Austria said it would close eight radical mosques and expel 60 imams. But Denmark has gone even further. Danes were first shocked by terrorist attacks on journalists and cartoonists and newspapers seen to criticise Islam, and now by gangs from mainly-Muslim immigrant enclaves using even grenades. Its government now says “ghetto children” from 25 such enclaves must be separated from their families once they turn one for at least 25 hours a week of lessons in Danish and “Danish values,” including the Christmas tradition. Parents who refuse will have their welfare cut. Don’t think Europe will stop there. The millions of poor Muslims it let in will not leave, and the tensions imported with them will last for generations. That won’t be the case if the Europeans get their act together and deport them. Rigorously.